Natural Stone | R &D Marble, Inc.
Building a new home or replacing your current kitchen countertops or heavily used surfaces? Natural stone (granite) is an excellent choice. Because of its durability and longevity, granite is perfect for residential and commercial installations – as well as your outdoor projects. R&D Marble offers a wide selection of natural stone slabs that have been quarried in the United States, Italy, Brazil, and other countries from around the world. Because of this, it is available in a remarkable array of colors and patterns. Granite is chosen for new builds and remodels because of the value, style, and luxury it adds to a home. Adding richness in both color and appearance, this investment will provide your home with many years of beauty and service. The elegance and function of natural stone are difficult to imitate. At R&D Marble, our experts will work closely with you to evaluate your needs and preferences to select the right stone for your home. Helping you find the perfect slab is what we enjoy doing! 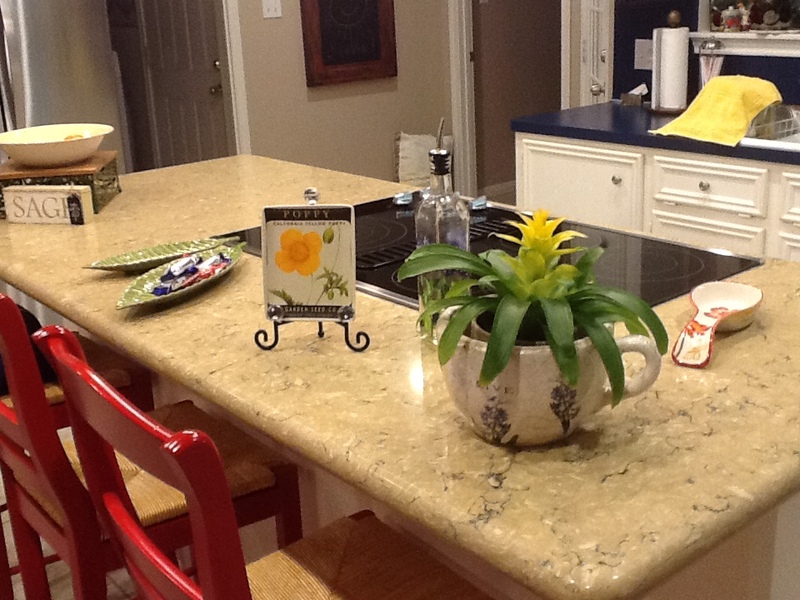 Why Choose Natural Stone Countertops? One of the main reasons natural stone is preferred for countertops is its strength and durability. Granite’s mineral grains were bonded tightly together during a very long slow cooling process which occurred millions of years ago. With the combination of quartz and feldspar in this process, mother nature created granite that has become harder than steel. This hardness makes granite desirable for buildings, for decorative purposes, and for countertops. Other desirable qualities of granite include taking and keeping a good polish and resisting the weather and acid rain. Keep in mind that granite and marble are natural stones and as such are never perfectly regular. Common irregularities include variation in markings, pits, fractures, inclusions, color variations, and pattern dissimilarities. These variations mean that a natural stone product is a quality product. Additionally, these variations are all a measure of the natural stone’s charm and exquisiteness. Because natural stone is, in fact, natural, there can be no guarantee of consistency in color, veining or other natural characteristics. It’s important to understand that every slab of natural stone is unique and every bundle is diverse. Store samples represent what you may receive but it’s impossible to provide an exact sample of an uncut slab. R & D Marble will have you go to a local stone yard to pick out your exact slab when you’re ready to purchase your stone. You’ll be able to evaluate the slabs and choose the perfect stone for your project. Natural stone is classified into two categories according to its composition: Siliceous or Calcareous. Calcareous stone is primarily composed of calcium carbonate. Calcareous stone is sensitive to acidic cleaning products and will often require different cleaning products than siliceous stone. Marble, travertine, limestone and onyx are types of calcareous stone. Pits are common in all granites and should be anticipated when choosing any natural polished stone. In addition to quartz and feldspar, all granites include biotite in the structure of their original formation. The biotite in granite is soft and flaky and during the polishing process, the first few layers of biotite are removed which can result in pitting. Pitting does not impact the quality or the usefulness of the granite or result in less durability. Fissures/fractures are cracks that were formed in natural stone due to mountain’s upheaval and movement. 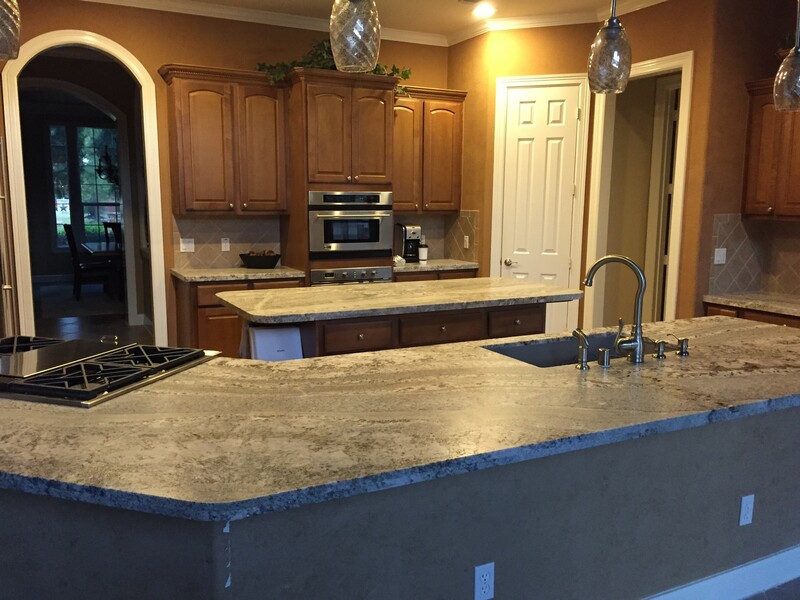 Cracks result from the mechanical processes needed to cut, handle, fabricate, transport, and install granite. Cracks are avoided when they are detected and seldom noticeable in kitchen or bath natural stone countertops. Beauty marks are a natural concentration of color. They are the result of the naturally varying intensity of colored quartz and feldspar and produce both spots and lines with varying colors. Seams in natural stone countertops are visible. All sinks installed in a granite countertop must be either under-mount or a drop in style. At R & D Marble, Inc, we apply a special sealer after fabricating your granite. We encourage you to seal your granite at least once a year using a special granite sealer which can be purchased in our showroom. This special sealer lessens the granite’s vulnerability to stains. It is important to know that oils and products which are intended to stain (like furniture polish) can permeate the original natural stone sealer and permanently stain your granite. For daily cleaning, we suggest using a mild soap (like dish detergent) with water or Sprayway for disinfecting. Please remember that using too much soap will leave a soapy residue on your granite. R & D Marble, Inc. also recommends that you never use cleaning products that contain ammonia (e.g. Windex) on any granite surface. Please see the Care and Maintenance guidelines for more details on caring for your new natural stone installation or call R & D Marble with any questions you have about natural stone.